We’re just nine days away from Ash Wednesday, and over 275,000 people have signed up for Bishop Barron’s daily Lenten reflections. Today, we’ll share four simple ways that you can invite fellow parishioners to join you on this journey through Lent. FREE Daily Lent Reflections – Would you like a deeper, more powerful Lent this year? 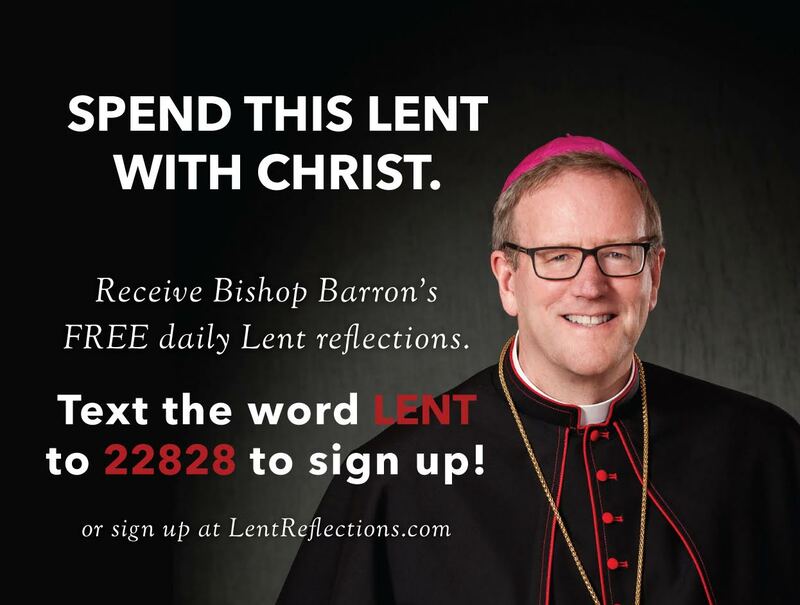 Then sign up for Bishop Robert Barron’s FREE daily Lent reflections at LentReflections.com or by texting LENT to 22828. Each day, from Ash Wednesday (February 10) until Easter Sunday (March 27), the creator and host of the CATHOLICISM film series will send you a short reflection, straight to your inbox. There’s simply no better way to super-charge your Lent. Be sure to sign-up at LentReflections.com! Would you like a deeper, more powerful Lent this year? Then sign up for Bishop Robert Barron’s FREE daily Lent reflections at LentReflections.com. Each day, from Ash Wednesday (February 10) until Easter Sunday (March 27), the creator and host of the CATHOLICISM film series will send you a short reflection, straight to your inbox. There’s simply no better way to super-charge your Lent. Be sure to sign-up atLentReflections.com! 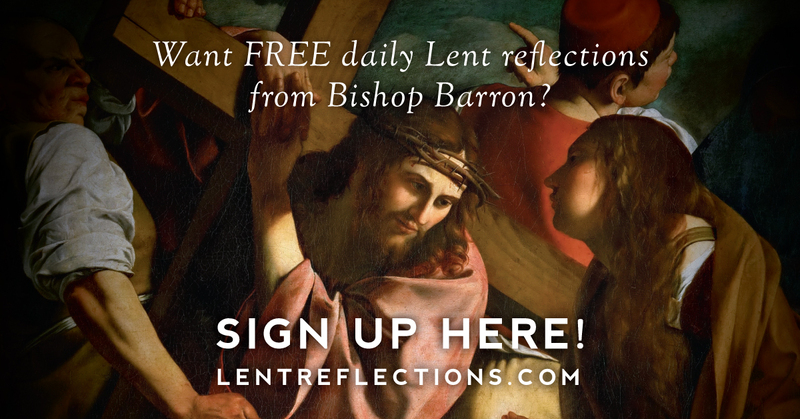 Super-charge your Lent this year by signing up for Bishop Robert Barron’s FREE daily reflections at LentReflections.com! Want a simple way to deepen your faith this Lent? Sign up for Bishop Robert Barron’s FREE daily reflections at LentReflections.com!